Sociology is the study of human society and social behavior. Thus, the sociology program intellectually opens the doors of society, allowing students to see what goes on behind them and revealing ways in which our society and the groups to which we belong influence our attitudes, beliefs, perceptions and world view. Sociology majors obtain valuable insight into social relations in any social context and develop their conceptual and critical thinking skills to understand issues of diversity, social control, social institutions, inequality, social policy and socio-cultural change. 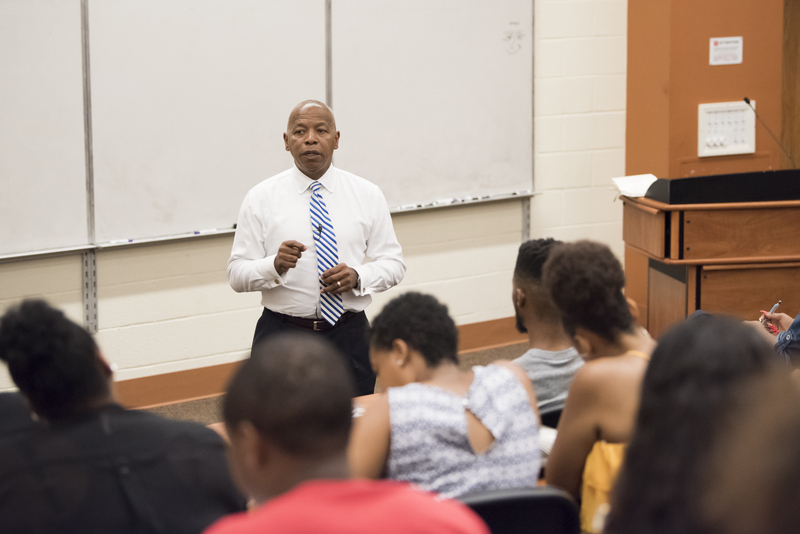 Being a sociology major at Winston-Salem State means reading, writing, working with others in a supportive academic environment, both inside and outside the classroom. It means doing research, developing communication skills, and thinking critically about issues that affect us all. All of these skills and experiences will serve a graduate well in all types of work, including graduate school. Sociology majors are people who like to learn, to think, and to talk about the world we all live in - how things work, why they work the way they do, and how they might be changed for the better. They are curious about different people’s perceptions, different cultures, and different ideas about why people do the things they do. A Bachelor of Arts degree in sociology will lead to career opportunities in the criminal justice system, social services, government, or business. It will also serve as preparation for graduate study in sociology, other social sciences or professions, such as social work, counseling, education, or law. The Sociology program employs an applied emphasis to provide theoretical and practical experiences preparing students to 1) enter graduate or professional school or 2) attain entry-level employment in non-academic settings. 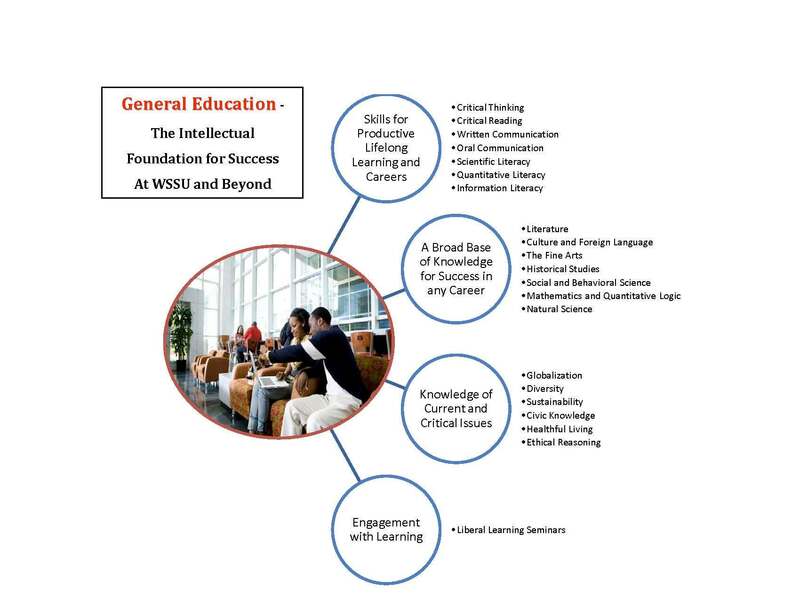 The program also serves the university’s general education component, helping provide non-majors with experiences essential to a liberal arts education. Sociology contributes to student understanding of society and social behavior, encourages critical thinking, and helps develop communication skills. To provide students with a broad background in sociology for a greater understanding of interrelationships in human society and for effective participation in a variety of occupations. To prepare students to be creative problem solvers, using critical thinking and communication skills. To prepare students for continued studies on the graduate and professional levels. Participate effectively in professions and business. Demonstrate a greater understanding of interrelationships in human society. Creatively solve problems, using critical thinking and communication skills. Continue studies on the graduate or professional level. Students who major in Sociology must have a 2.0 cumulative grade point average to enter the program. Although the student is chiefly responsible for completing the 120-semester-hour curriculum, students will be advised by the Sociology program faculty to ensure that each student matriculates through the curriculum within the university-targeted four- to five-year time period. Each student will be assigned a faculty advisor by the student’s last name. The student and advisor must meet a minimum of twice during the academic year to ensure sequential selection of courses and to avoid delays in the student completing the major in Sociology. The Foundation courses designated will give students a general view of sociology across its sub disciplines, including theory and methodology. These are the basic elements needed to begin understanding the discipline. Additionally, the foundation menu has been selected to open up general education options for non-majors who wish to take these courses by providing knowledge that is easily transferable to other fields. The new pathway seeks to designate Philosophy and Economics as required foundational courses; majors are strongly encouraged to complete both. Though these courses are outside the major, they would provide the student with a more solid foundation for understanding issues of equity and social justice. Breadth courses in the new pathway would introduce students to a wide variety of courses within the discipline. The objective is to provide students with the opportunity to 1) experience, 2) explore and 3) gain some expertise in the varous subfields in the discipline including the approaches employed by Sociologist to understand social problems, equity and social justice related issues. Depth courses have more rigor; they reflect core areas flowing from the breadth courses. In addition, depth courses will connect theory and practice towards a deeper understanding of society. As depth courses are all at the upper level, students would be evaluated via comprehensive writing papers, applied sociology and more senior-level reading assignments in contrast with “Breadth” courses. Total semester hours in Sociology = 46, with a grade of “C” or higher in each course. Additional elective hours in any discipline must bring the total credits earned to at least 120 semester hours. A minor in another discipline is not required. General Sociology (SOC 2301 ) or Health & Society: General Sociology (SOC 2302 ) is prerequisite to all 3000- and 4000-level courses in sociology. Sociology electives must be completed to bring the total semester hours in Sociology to 18. Students for whom one or two required courses are waived must complete three hours of Sociology for each course that is waived.